Designed in two distinct styles, this creation functions as a great conversation piece for any table, while adding to the dÃ©cor of the room. This unique platter is 13â€ of beautifully woven wicker with 9 Mexican Beach pebbles enhancing the rim, inscribed with the fruit of the Spirit listed in Galatians 5:22-23. 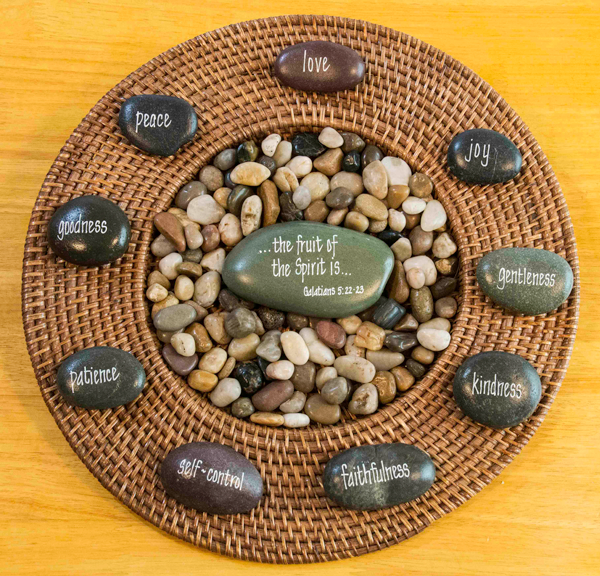 Included with this design is a center stone citing the scripture, a plastic stand and decorative pebbles. 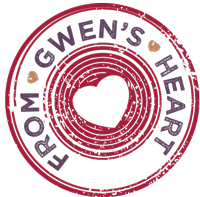 It can be displayed flat on the table, or as a piece of artwork on a plate stand (not included).